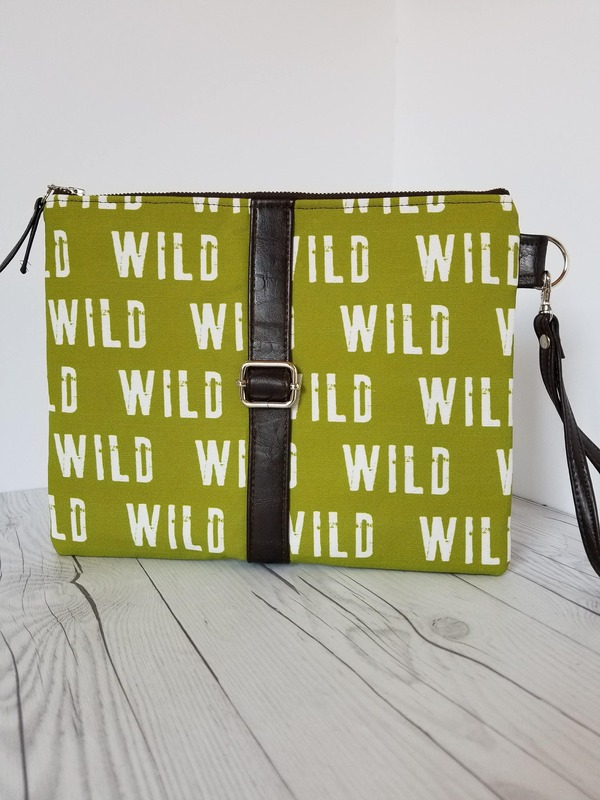 Please note all clutch bag orders placed after Dec. 13th, will ship out starting Jan. 7th, 2019. 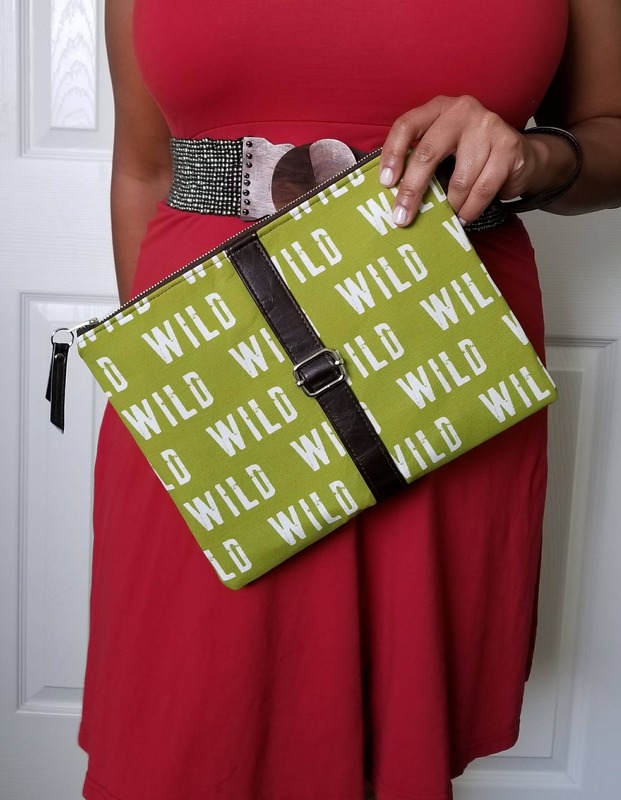 This olive green wild printed clutch with dark chocolate brown faux leather belt like accent and nickel slider is both stylish and functional. 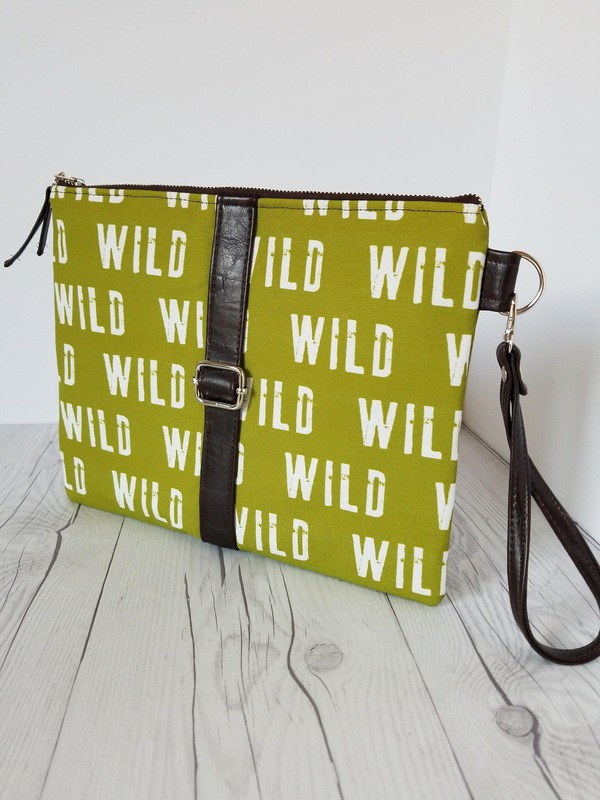 All clutch bags come with a beautiful lined inside and a roomy zipper pocket. 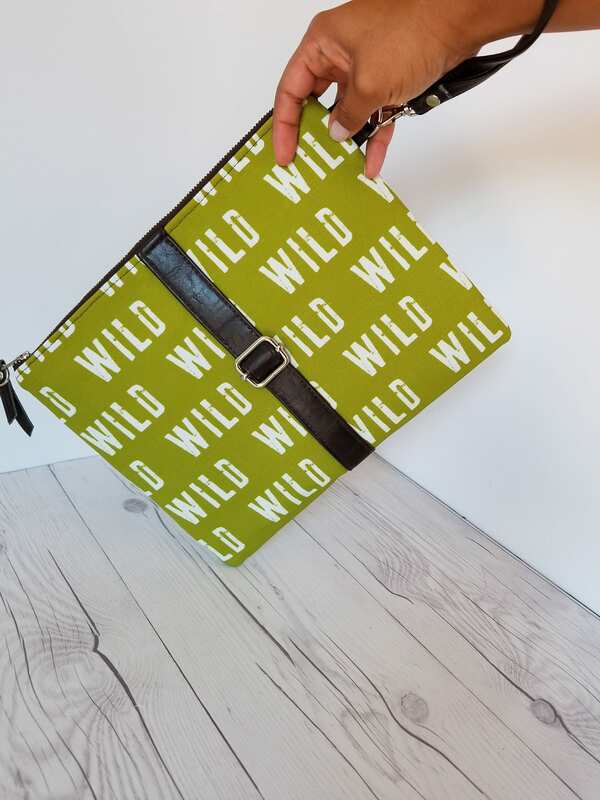 This clutch can be paired with jeans and blouse and/or cute dress and you can easily take it from day to night! 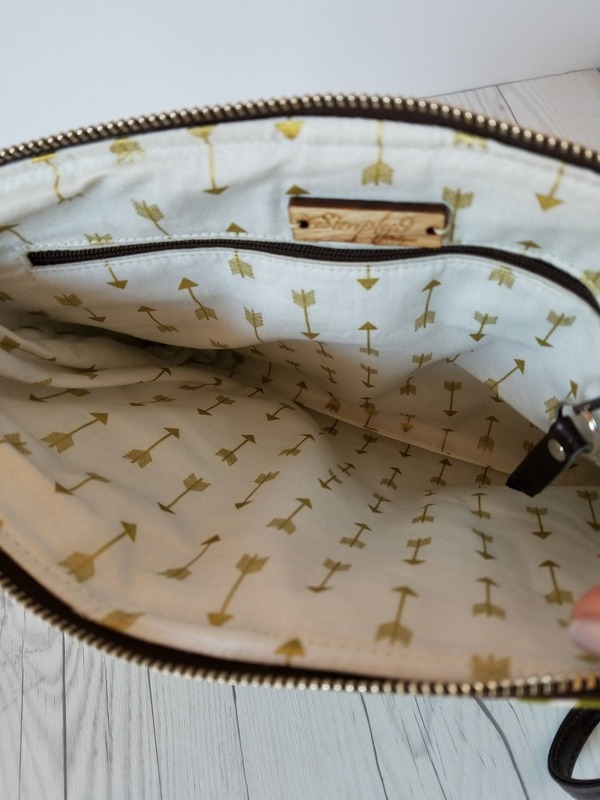 - Love the design, but would like your bag in a different color on the outside or inside, not a problem. - Contact me and let's discuss additional custom color options. 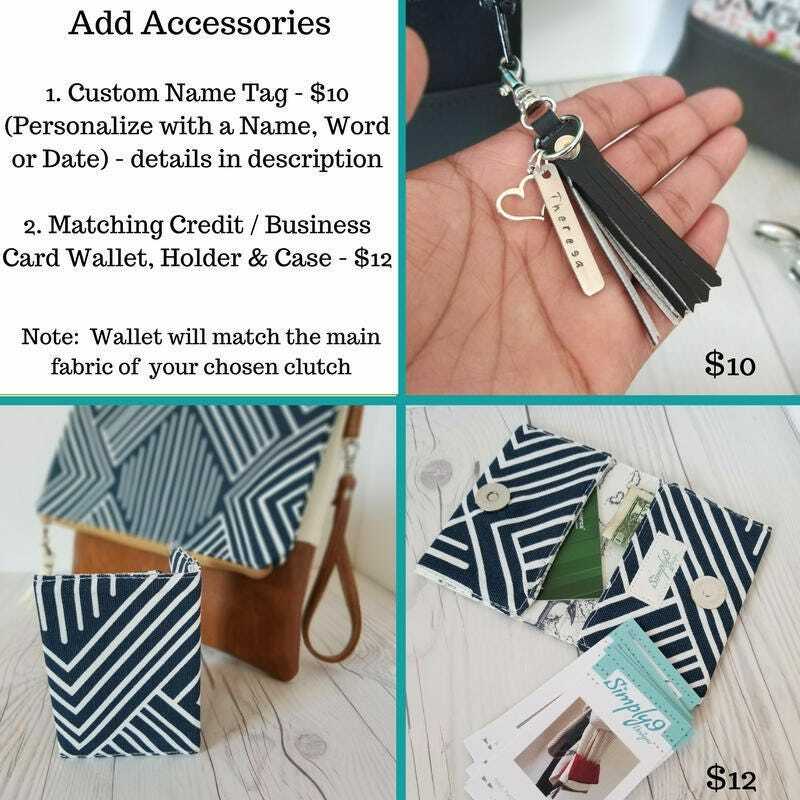 You can mix and match with other colors available from the Simply9 Designs collection. 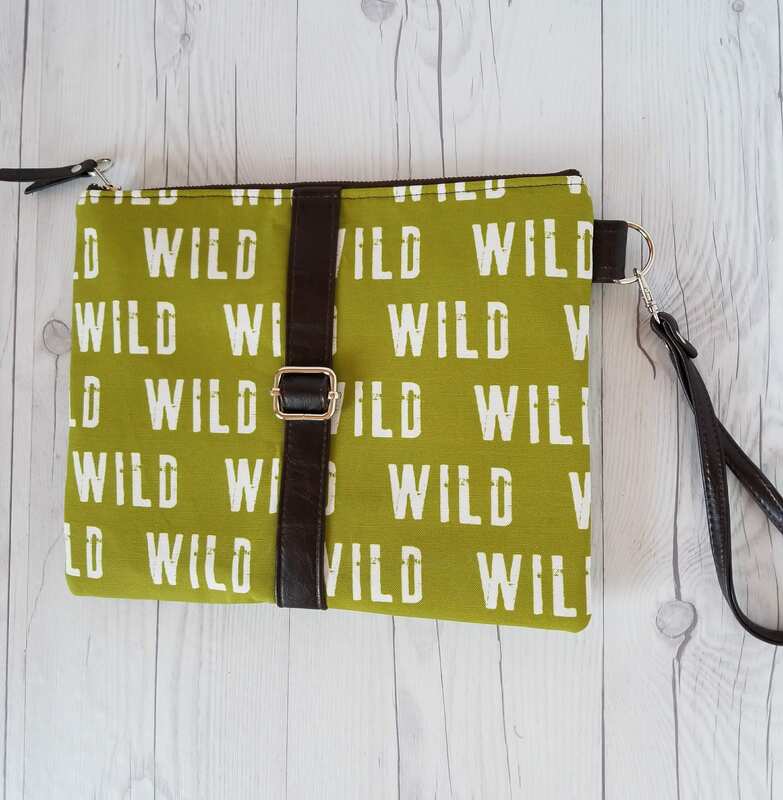 - Or I can provide you access to 1000's of prints, colors, and patterns to create your dream bag. - In notes section upon checkout, please indicate the NAME, DATE or, WORD you would like stamped onto your tag. NOTE: This tag can hold up to 10 letters or less and can only be stamped on front of tag. - Tassels are handmade by Simply9 and the final product is constructed in the Simply9designs studio. Thank you for visiting Simply9Designs. I hope each piece you receive makes you smile as it has made me smile designing it.